Learn the Art of Food Styling this Spring from food stylist, special event designer and caterer Kathi Dameron. 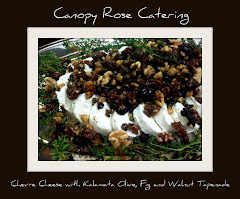 The Canopy Rose Culinary Arts Studio and Catering Company will be the setting of a series of classes in Spring 2008 demonstrating Kathi's artistic techniques, strategies and secrets for Creating The Wow! 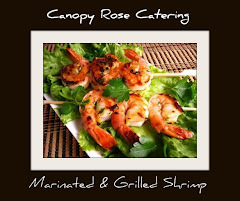 For more information contact the Canopy Rose Culinary Arts Studio and Catering Company at 850-539-7750 and request information specifically on upcoming food styling classes by Kathi Dameron. Looking for a creative food stylist to create compelling artistic creations for your upcoming project? Kathi Dameron is a freelance Florida-based food stylist offering food styling, food writing and food publicity for cookbooks, magazines, newspapers, film, television, video and internet media. Will travel. 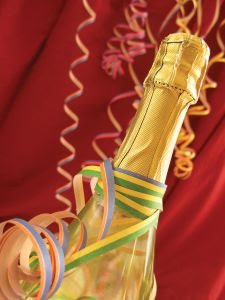 Shopping for party vendors for a special event in the Capital City region of North Florida or South Georgia? 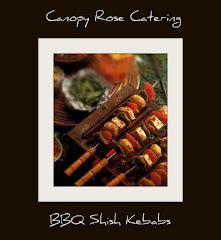 Don't let the orchestration of planning an event, legislative function or wedding bring on a migraine - call on the Canopy Rose Culinary Arts Studio and Catering Company to help you! We offer full event orchestration and catering services. For customized menus designed especially for your event and budget, call Tallahassee area event designer Kathi Dameron at 850-539-7750. 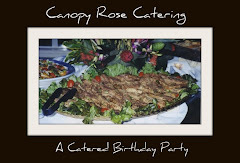 The hottest news in catered Christmas Parties in North Florida and South Georgia for 2007 is that long-time Tallahassee caterer and event designer, Kathi Dameron is opening the exciting Canopy Rose Culinary Arts Studio and Catering Company just in time for the holiday season. 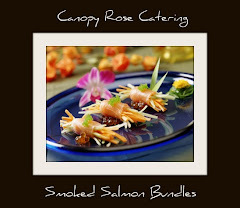 For a customized menu designed exclusively for your event contact Kathi at canopyrose@aol.com. The new Canopy Rose Culinary Arts Studio and Catering Company is located at 101 West Seventh Avenue in downtown Havana, Florida. We serve the Florida Capital Region, North Florida and South Georgia. 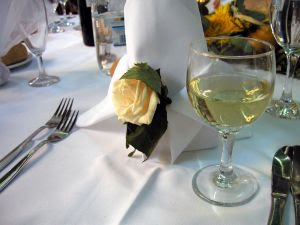 Elegant Customized Catering For The Most Special Days of Your Life! 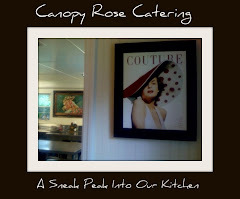 Social, Political, Legislative and Corporate Catering With Great Style and Pizzazz By Chef Kathi Dameron. We are located in a historic old bank building in the quaint village of Havana, Florida. 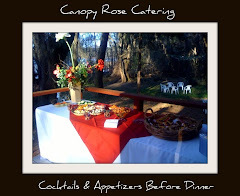 Canopy Rose caters elegant events at your location or ours. 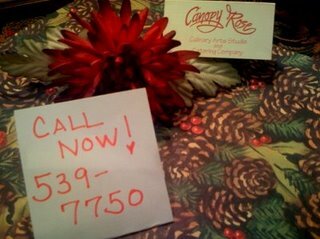 Canopy Rose serves the communities of Tallahassee, Havana, Quincy, Bainbridge, Thomasville, Quitman, Moultrie, Monticello, Crawfordville, Panacea, St. George Island, and other nearby North Florida and South Georgia cities and towns. Looking for a holiday, wedding or special occasion gift for a loved one that won't rust away or gather dust? Why not give the gift of private or small group cooking classes with Chef Kathi Dameron of the exciting new Canopy Rose Culinary Arts Studio and Catering Company! The gift of recreational culinary instruction will surely be one of the most delicious and smart gifts you could possibly give. We offer Custom-Tailored Gift Certificates for the Coolest Christmas Present of 2007, located in the quaint town of Havana, Florida we are centrally located to serve North Florida and South Georgia. Delight your guests taste buds this holiday season with the delicious foods of Chef Kathi Dameron. For a unique customized menu based on exquisite food and designed with great style and pizzazz, call Kathi at 850-539-7750. 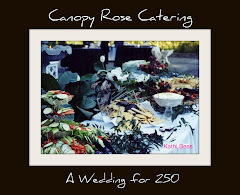 Kathi Dameron was a long-time Tallahassee, Florida area caterer who owned Canopy Rose Catering. A few years ago she shuttered her business so that she could concentrate her energies on other creative pursuits. 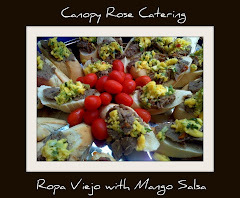 In the autumn of 2007 she discovered a wonderful business location in the quaint town of Havana, Florida and began implementing a business plan to open the exciting new Canopy Rose Culinary Arts Studio and Catering Company. In addition to offering exclusive, high-end catering and special event orchestration, this new business will offer an exciting menu of fabulous food-related services. The culinary studio will serve as the setting for cooking classes, make and take workshops, special food events, private tasting parties, photo styling, cookbook writing collaborations, public relations, marketing and advertising. We have several local food personalities who are very interested in coming in to teach cooking classes. We are currently putting together our 2008 class schedule. We would love your input on classes you might enjoy taking! 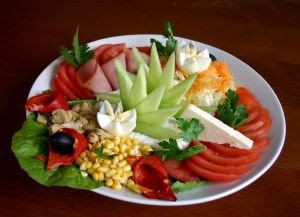 Our chief objective with this business is to be a collaborative community pursuit with a delicious food-related flavor. We believe in a win-win-win philosophy. 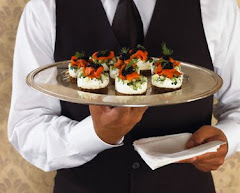 While we have decided to add catering into the mix of our services because we have such a solid foundation in the area of catered functions, we are not at all interested in being the biggest or busiest caterer in the North Florida - South Georgia region. Been there, done that! Therefore, we are happy to promote other capital area caterers and food purveyors who also set high standards for culinary excellence. The new Canopy Rose Culinary Arts Studio and Catering Company is also a great place to learn the art of catering through our How To Open A Catering Business Seminar Series. As you can see, there are many exciting things a-coming! Tallahassee food publicist, newspaper columnist, caterer and chef-instructor Kathi Dameron is opening an exciting new food business. Services: Catering, Special Events, Dream Wedding Receptions, Cooking Classes, Workshops, Guest Chef Culinary Demonstrations, Food Events, Tasting Parties, Cookbook Collaborations, Food Writing, Photo Styling, Food Tourism, Culinary Adventures, Public Relations, Marketing and Advertising. Holiday parties, holiday parties, and more holiday parties! 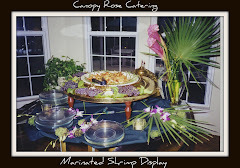 On this blog you will find information on a wealth of information both related and unrelated to the topic of catering a party in the Tallahassee, Florida area. You will also find links to resources like online spots for buying wholesale flowers for your special events. Becoming aware of circumstantial personal weather patterns is indeed a big key to knowing and understanding oneself. Just lighten up and change the things you can and accept the things you can't. Don't waste the holidays stressed over the things that are not! All of our lives are overflowing with beautiful blessings of which to be grateful for! At this time of year, creating pinecone decorations is a wonderful way to get your home and hearth in the spirit for the holidays. Why not brew up a pot of hot spiced cider, whip up a nice little snack to nosh on, fill the room with some Christmas music and indulge your creativity in making some festive holiday decorations? Be sure and check out our list of upcoming classes for the new year, too! In early December 2007, local food personality & caterer, Kathi Dameron will be opening the brand new home for Canopy Rose Culinary Arts Studio and Catering Company in a beautiful old, historic bank building, a short baguette toss from Florida's Capital City. Located on the corner of Seventh Avenue and Hwy 27 in a quaint community that has received the designation of: Florida's Friendliest Town. This new venture will feature high-end wedding and special event catering and event design throughout the communities of North Florida and South Georgia. 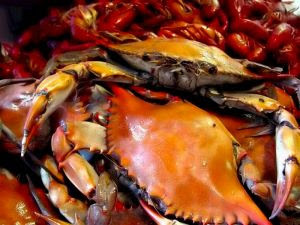 Tallahassee, Havana, Quincy, St. George Island, Panacea, St. Marks, Crawfordville, Wakulla, Apalachicola, Thomasville, Bainbridge, Moultrie, Hartsfield and other neighboring communities will be served. 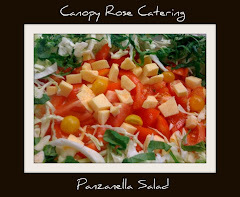 Cooking classes, make and take culinary workshops, evenings of dialogue, guest chef collaborations, team building events, food writing, food styling, cookbook collaborations, food publicity, food tourism and international jaunts to cooking schools in other countries are among the other services that will be offered at the Canopy Rose Culinary Arts Studio. My mind is always popping with different menus. Tonight while preparing dinner, the following ideas danced across my tastebuds for a Spicy Cajun Christmas Celebration. Imagine playing homage to the festive holiday colors of red and green with an outrageous Cajun twist. I'm thinking big ruffly collard greens, artistically hollowed out cabbages filled with delicious dips and surrounded by boldly colored fresh vegetables. Of course. there will be several other designer touches- but I'm not going to spill all my secrets, here. Nope! You'll just have to wait till the party to discover the rest of the surprises! 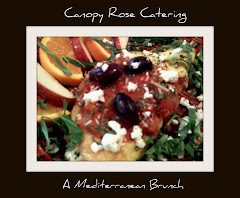 This menu is available for private catered events from Chef Kathi Dameron of the Canopy Rose Culinary Arts Studio. Need a place to hold your party? We have a beautiful facility 12 miles from Tallahassee in the quaint historic town of Havana. 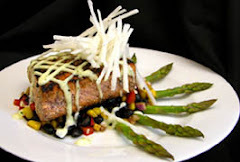 Whether at your place or ours... we can provide all the special services that will turn your corporate office luncheon, business or social brunch, dinner party, reception, political, club or charity fundraiser into an event that will long be remembered for style, pizzazz and exquisite taste. 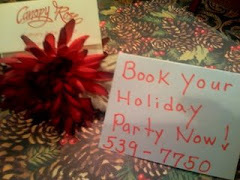 Call Kathi at 850-539-7750 to book your party. Call Kathi for a customized party quote at 850-539-7750. At Your Location or at Ours! If you don't see it on one of our many different menus- JUST ASK! Serving home and corporate / office breakfast, lunch and dinner hour catered functions and receptions with your choice of traditional, trendy or gourmet specialty fare in the communities of Tallahassee, Thomasville, Monticello, Bainbridge, Quincy, Havana and other North Florida and South Georgia communities. Leon, Gadsden, Jefferson, Wakulla, Franklin, Thomas County. Would you like to get a story with photos of your party submitted to Southern Living Magazine, Bon Appetit, Gourmet, Southern Accents or another food and entertaining publication? In addition to being a chef, caterer, event designer and culinary arts instructor; food publicist Kathi Dameron is a food writer whose recipes and/or stories have appeared in international, national, regional and local magazines, newspapers, cookbooks and internet media. 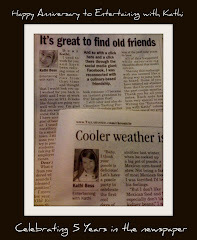 Kathi writes a regular food and entertaining column in The Northeast Chronicle, a publication of the Tallahassee Democrat. 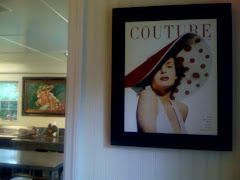 The column is called Entertaining with Kathi. 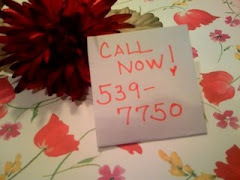 Call Kathi today at 850-539-7750 to discuss your party plans and see if she is available to help you with your event. 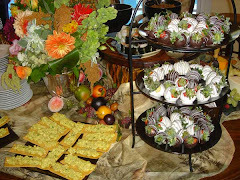 For The Best & Ultimate In Catered Parties, Receptions, Brunches, Luncheons and Dinners Contact Kathi at 850-539-7750. Are you looking for the ideal venue for your upcoming seminar, class, workshop, special event, training event, small reception, wedding rehearsal dinner, theatre-style special event, political campaign gathering, victory celebration, 2008 GOP republican / democratic / libertarian presidential election fundraiser, business meeting away from the office, legislative luncheon, fashion show, wine and cheese event, cocktail party, art show, recital, book launch, holiday or Christmas company party? Looking for the perfect place to stage an Evening of Dialogue in a delightful setting? Is The Governor's Club, 22nd Floor, Old Capitol, Brokaw-Mc Dougal House, Maclay Gardens, Dorothy B.Oven Park, Los Robles Women's Club, Golden Eagle Country Club, Killearn CC, Goodwood Plantation and Gardens, Pebblehill Plantation or your church fellowship hall already booked on the date you plan to hold your special event? 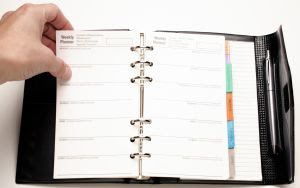 Call Kathi Dameron and Associates at 850-422-3599 to get your event listed on our calendar. (Need a press release, internet promotion, story and pictures of your event submitted to the press? Before and after your event, we can provide the media with information, sound bites, compelling photos and viral marketing strategies to give you and your cause maximum exposure.) Need a videographer to record your meeting? Why not leverage your meeting by also turning it into a video? Chicken has always been a popular main ingredient on the corporate catering menu with clients seeking lighter fare for their company lunch meetings. 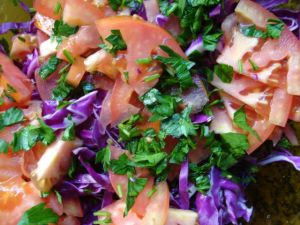 Luncheons were generally served with a signature salad that included a crisp variety of mixed greens, fresh fruits, spiced and candied nut meats and generous drizzles of Sweet and Jazzy Dressing, Raspberry Poppyseed Dressing or a Light and Spritzy Florida Citrus Vinaigrette. 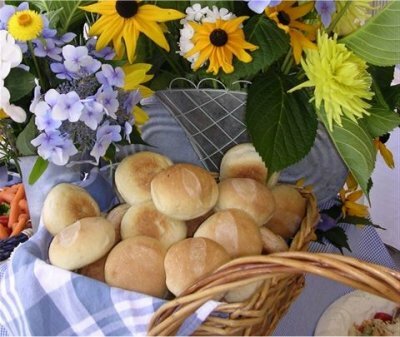 Clients often requested an order of Tuscany Cheese Spread to accompany their bread basket. Sampler trays of miniature decadent dessert bars, pastries and other confections were also popular for catered office, legislative and social luncheons. We have banquet & meeting space for rent in a beautiful new party venue. Now renting for the 2007 -2008 holiday season! Looking for a great place to hold your class, seminar, workshop, luncheon, dinner, office holiday party, wedding rehearsal dinner, club meeting? We have several time slots available for rent in the Tallahassee area's newest and most exciting party rental facility. Call Kathi at 850-539-7750 for more information. Catering available, too! In this one hour lunch time series, Tallahassee food writer, former caterer and chef-instructor Kathi Dameron serves up a lesson in cooking a fabulous luncheon meal all in one hour. Price: $45.00 per person and includes class, recipes and samples. Lessons include popular archived menus from Canopy Rose Catering with a mix of deliciously new regionally-inspired culinary creations. Do you have dreams of writing your own cookbook? 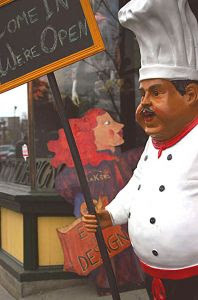 Perhaps you are a wonderfully creative chef, caterer or restauranteur with dreams of creating your own cookbook that you could sell in your restaurant, catering business, cafe or on your website? But like any great culinary artist your plate is probably already overflowing. Wouldn't it be great to leverage some of your creativity into a published manuscript? Maybe you are afraid that you don't have the time or writing talent to engage in this sort of project, even though you recognize the exposure such a book would bring would launch you and your business to a whole new level. Florida food writer, photo stylist and food publicist, Kathi Dameron can help you to get your cookbook into print and maybe even onto the New York Times Best Seller List. How awesome would that be?! We will help with everything from full cookbook creation (Concept development, organization, writing, recipe testing, photo styling, etc) to orchestrating the publicity blitz once the book is in print. Cookbooks are a great PR tool for building brand awareness, growing a business and generating additional revenue. Former caterer and special event designer Kathi Dameron is opening up a beautiful rental venue near Tallahassee, in the quaint and historic town of Havana, Florida. This special event facility is perfect for wedding rehearsal dinners, small wedding receptions, engagement parties, bridal showers, office Christmas parties, annual corporate holiday soirees, meetings, classes, seminars and workshops. There is even a commercial kitchen on the premises that can be rented for an additional fee. 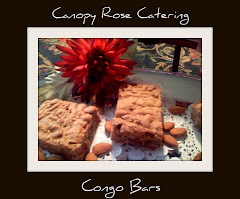 Need catering, rental, entertainment and party planning services. 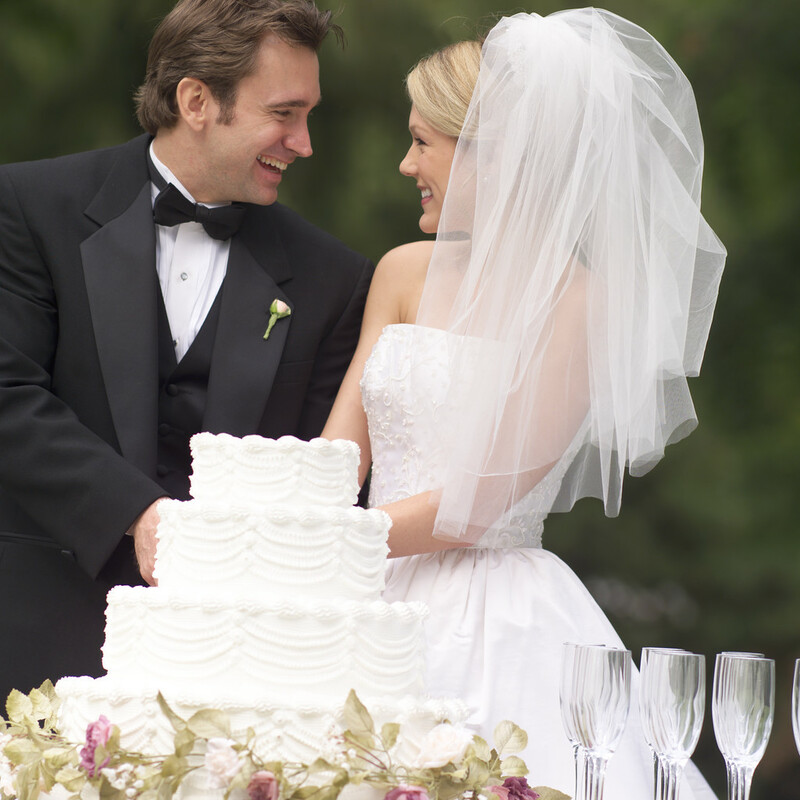 We have over thirty years experience and can point you in all the right directions to not only get the special day of your dreams, but to get great bang for your buck at the same time. Looking for a special place to hold your company Christmas Party this year? Your group can be one of the very first groups in our geographic area to christen this new special event gathering facility just minutes outside of Tallahassee, in the quaint and historic town of Havana, Florida. We have a beautiful and unique space that is opening just in time for the holidays. This rental venue is perfectly suited for classes, workshops, seminars, meetings, engagement parties, wedding rehearsal dinners, company office holiday parties, anniversary dinners, birthday parties, graduation parties, showers, fashion shows, cooking class parties and more. Contact Kathi Dameron and Associates at 850-422-3599 or at askkathidameron@aol.com to learn more about this exciting new venue with a beautiful large meeting room suitable for a wide range of special events. We currently have several openings for the 2007 Holiday Season that are sure to fill up fast when the word gets out about this new party venue. This facility also has a commercial kitchen that can be rented for a small additional fee. 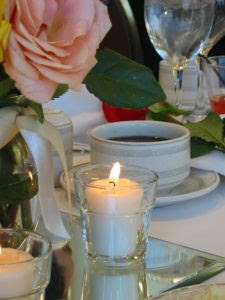 Catering and event planning services available on request. Office luncheons for Raleigh accident lawyers. 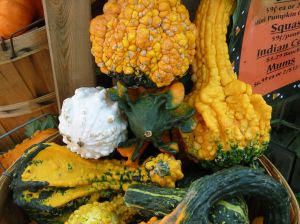 Here you will find a few of the ideas that were popular for Thanksgiving events catered by Chef Owner Kathi Dameron. We work with businesses and private individuals in all areas of food-related consulting. From helping restaurants create more wow to assisting party-givers in the creation of memorable and delicious menus for their most special events. 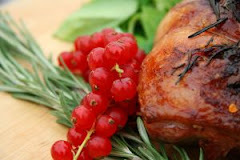 Looking for a delicious and innovative holiday party menu for your Tallahassee Florida social or company celebration? 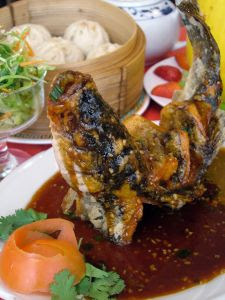 We custom create menus drawing on cuisines from the distant corners of the world. 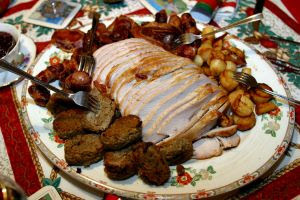 Looking for something closer to home such as a downhome Southern Christmas Soiree... have we got the perfect fare for you! 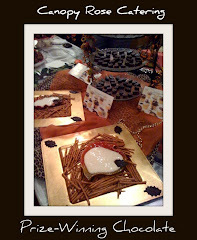 Fabulous holiday party menus... cooking classes and so much more! Here is a novel idea from the keyboard of a Tallahassee caterer turned food writer and cooking teacher. Chef-instructor, Kathi Dameron is offering a fun strategy for holiday parties this year. She's launching the double-dip cooking classes where participants not only learn her secrets, strategies and techniques honed during her tenure as the chef, owner and event designer of Canopy Rose Catering, but participants also get to create the food for their holiday / Christmas parties while in the class. Preparing for your annual party never tasted so good! Want a customized menu for your event? 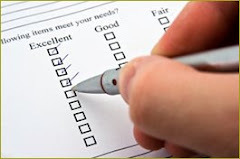 We will be happy to create a customized menu just for you, your club, organization, office and/ or non-profit group. Have you ever dreamed of having the proficiency in the kitchen that would allow you to whip up fabulous tasting food every single day? What if you could learn side-by-side with one of Tallahassee's best chefs? Learn the techniques, secrets and strategies of a former caterer and this priceless knowledge will be yours for a lifetime of exquisite eating. Double-Dip Holiday Classes: Here is a really great idea. 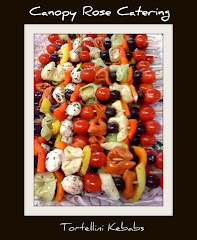 The double-dip holiday classes allow you to not only learn from a former caterer how to create fabulous party dishes for your holiday party, but to actually make enough in the class to serve at your next party! Where Can I Rent A Party Venue Around Tallahassee Florida? Question: We are looking for a nice venue to hold our company Christmas Party in the Tallahasssee, Florida area. 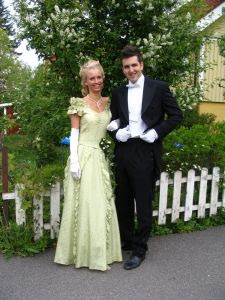 We have been to all the usual places in past years, and are interested in going somewhere different. Can you suggest someplace for us? We will have a group of about 25. Answer: Call Kathi Dameron and Associates at 850-422-3599 or at askkathidameron@aol.com Kathi is the former chef, owner and event designer of Canopy Rose Catering. She has the solution for a wonderful party venue in a beautiful historic building where she will be creating her new cooking school. The space is available for a limited number of special event rentals during the 2007 holiday season. Looking for a venue to rent for your 2007 Tallahassee Area Office Christmas Party? 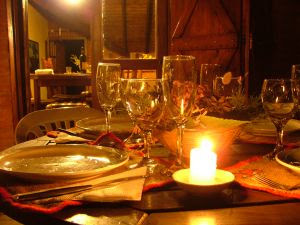 We have several dates currently available during the months of November and December 2007. This is in a newly acquired facility in a beautiful historic building that will be used for special events, classes, seminars and workshops. The space can be rented for your party with or without the other services. We can also assist you with catering, staffing, event planning, rental and entertainment. Bouillabaisse without rouille is like Marseille without sunshine! I think just about any time of the year- summer, fall, winter or spring is the perfect season for cooking up a big pot of bouillabaisse. There is a bouillabaisse-style recipe that is great fun to brew for a special occasion. Have you heard of a Capri dish known as 'Crazy Water'? Just start with a good stockpot. Schedule permitting a Crazy Water story might be in the stockpot sometime in the next year in the Entertaining with Kathi newspaper column or maybe I'll save the story for one of my books. Who knows maybe a cookware company will hire me to be their food publicist! Caribbean Nachos with Island Mango Salsa on Crispy SunDried Tomato Flour Triangles sounds like a delicious introduction to a Caribbean-flavored soiree. Whether going island-hopping through the Caribbean on your sailboat, cruising the nearby Gulf of Mexico or simply chilling out at home, this island-style appetizer is sure to kick your menu off with panache. This appetizer is available from The Main Ingredient, a Tallahassee Florida restaurant, bar, and catering company located at 1710 W. Tharpe Street. Make sure to tell The Main Ingredient that Kathi Dameron sent you! Kathi Dameron is a food writer, culinary artist, newspaper columnist (Entertaining with Kathi) and former caterer who is cooking up culinary collaborations throughout Florida's capital region. Imagine opening your freezer to discover a gourmet collection of custom-prepared appetizers, soups, entrees and desserts. Fabulous and infinitely interesting foods that were prepared with the finest and freshest of ingredients right in your own kitchen by one of Tallahassee's Favorite Chefs. Sounds like a dream? This summer food writer, former caterer and Personal Chef Extraordinaire Kathi Dameron is returning to a few select Tallahassee kitchens to create culinary wow. The lucky few will end up with a freezer cache of gourmet treats that will rival the secret stashes of the rich and famous.